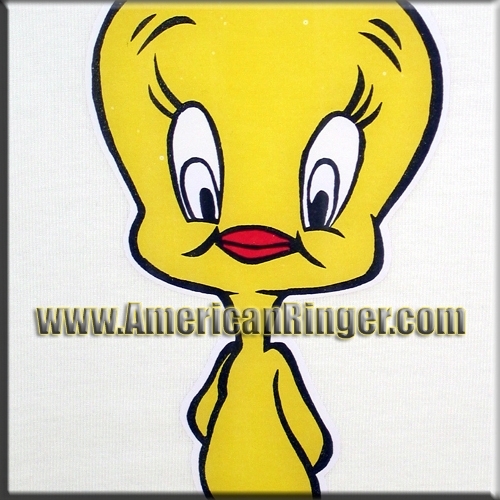 The legacy of Mel Blanc and Looney Tunes lives on with this vintage licensed, Sylvester the cat and Tweety Bird iron-on t-shirt featuring Tweety Bird himself! AmericanRinger.com acquired these and NOBODY ELSE HAS THEM! This is the real deal vintage stuff only available from American Ringer.